Nope, we record your actual scores for each game you play! Quality and quantity matter here. Hey there! That's a pretty good bet, because as it turns out, I can sling slushies with the best of 'em. Now, as for the finals bracket, so here's how it goes - the top 6 ranked teams (going back to those big long decimal numbers I've mentioned if there is a tie), will be placed in the top bracket. 7-12 in the next bracket, and 13-18 in their own bracket. Those teams will all play each other over the course of the last round, and end up at their ranks in the bracket. Now, from here, it works like a normal round, where first place in the bracket is worth a set amount of points, second place is a little less, and so on. However, each spot in bracket one is also worth a few more points in the same spot in bracket 2, which is worth more than the same spot in bracket 3. These points contribute to your final score, but there's a lot on the line. Keep playing and finish the tournament strong, folks! 2 weeks is plenty far out :) I won't judge them until it's close to publishing to make sure as many users as possible get their chance to submit, so make it easy on me and my inbox keep it to about 1-2 weeks before (it makes it a little hectic to have hundreds of entries sitting around a month early). On the flip side though, the week of (especially the day or two before), the issue is probably already full, so don't wait too long! Nope! Sorry, you can't mention any off-site places unless they're on our approved fan-sites list. It can be considered leading other users off-site, which is a big no-no. Hi! I hate to be the bearer of bad news, but the Mutant Powtry isn't a paintable petpet colour, it was released as a prize in the 2014 Charity Corner. Try the Shop Wizard or Trading Post to see if you can track one down! Oooooh more slushies! Yay! *slurps slushies* Hmm, check to make sure all your flash plugins are up to date, and that your browser is as well! Try a different browser, make sure Flash content is allowed, and if you use and kind of ad or script blocker, make sure it isn't blocking the site :) If those still don't work, write into support! Good luck! Treasure Chests - Not Just For Pirates? "Why would I be interested in treasure chests? None of my Neopets have been painted Pirate! 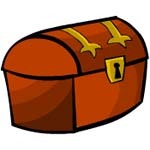 What possible use could I or my Neopets have for a treasure chest? Treasure chests are just for Pirates!" And that, my dear friend, would be where you are very, very wrong! This is Kuszemi for the Neopian Times, and today we will be joining Team Moltara and Team Shenkuu out on the field for a game of Yooyuball. There’s going to be lots of running around, I hope we can keep up with them. When glitches impede your team's victory.